Over the years I’ve had the opportunity to meet with a lot of different organisations from a lot of different industries, all of whom were doing the same practice of formulating a budget in multiple spreadsheets. The common issues always arise; many sheets where links break, people making changes to templates causing errors, no auditing, no visibility, no versioning and in a many cases, managers responsible for budgets not even being involved. A good system must have the items mentioned above addressed and be able to source key data to aid modelling a budget, do actual to budget analysis and review consolidations. Now that I’m at EBS and because of my background I have been asked to recommend a budgeting solution for our clients. 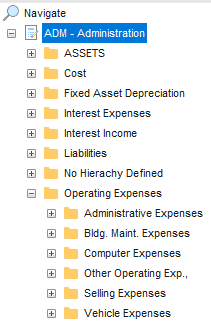 The one that I found the best fit is MAGIQ Budgeting, it’s very customisable to the industry and to any industries budget capture requirements. It’s also simple to manage and use by finance teams and most importantly allows finance to push out access for all budget managers to manage their own budget based on their area of access. The system integrates easily with existing NAV and Business Central versions, in most cases it’s just configure the system over which Dimensions to use and in what order to form the responsibility/reporting hierarchy function. The standard set up comes with easy to use budget entry window with a key data capture columns including Total and Twelve months, plus Phasing and Budget Comments. For more detailed budget capture, MAGIQ Budgeting has Pop Up Worksheets to allow users to log more detail on how the budget line item was formed. All Budget data is consolidated upon entry and will roll up your Dimensions hierarchy for budget V’s actual and variance analysis. Once your budget is approved all the data can be pushed back into NAV or Business Central and used for further reporting. And it doesn’t stop there for MAGIQ Budgeting, the system can go a step further and let the business take the budget process through to monthly reviews, quarterly reviews or a six-month review and these processes can be customised to your needs. This post was written by Mark Kean, Senior Account Manager at Evolution Business Systems.